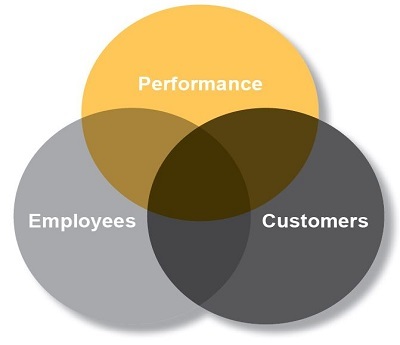 Simon Thorpe provides some advice on choosing the best Performance Management Solution for you. 1. Make sure you include voice of customer feedback in your solution. It’s all well and good having a top notch VOC programme which sends a constant stream of MI into your insight team but if you don’t share that data with your front line people then you are missing out on a huge opportunity. Providing agents with real time customer feedback can have a dramatic effect on performance and productivity. It is important that feedback can be drilled down to an agent level and ideally insight should be captured as quickly as possible so that individuals have the ability to self-correct where they are going wrong. Targets, incentives and score cards can be linked to CSAT data and an organisation will quickly see a performance uplift as individuals strive to outperform their colleagues. 2. And that you are able to combine V.O.C. feedback with productivity metrics. A. Mixing number of contacts handled with customer feedback. This will give you a whole new view over who the true best agents are. I.e. the ones that deliver customer satisfaction cost efficiently. B. Mixing Average handling time with customer feedback. You may have thrown out AHT as an agent incentive, but that doesn’t mean you should stop measuring it. Mixing it with CSAT feedback means that you will find advisors that spend longer with customers than they actually want.